Use for 38" & 58" Lone Stars, Diamond Border, and other 2.5" strip diamond patterns! Laser cut and easy to use to go with the Quiltsmart fusible printed interfacing and instructions! 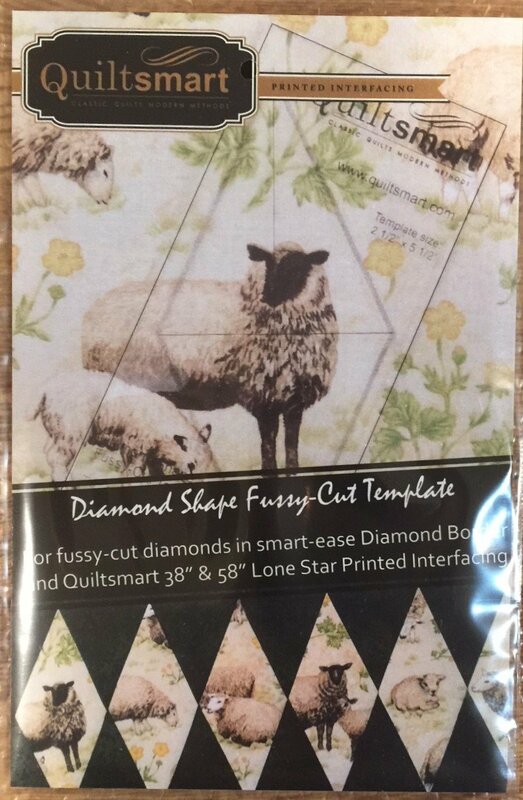 The "fussy-cut" template does not need to be used just for fussy cutting - it is also very handy to cut the 2.5" strips into rectangles for the 38", 58" star or diamond border, and to cut 2.5" squares.